New research led by Professor Cathie Martin of the John Innes Centre has revealed how a plant used in traditional Chinese medicine produces compounds which may help to treat cancer and liver diseases. 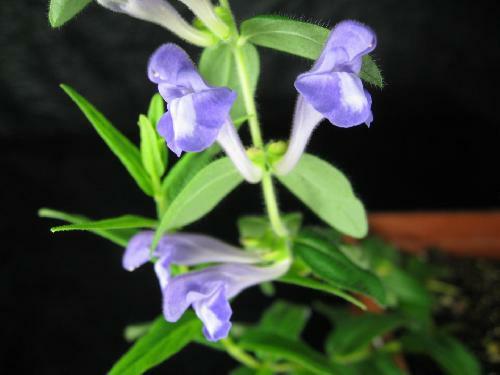 The Chinese skullcap, Scutellaria baicalensis - otherwise known in Chinese medicine as Huang-Qin - is traditionally used as a treatment for fever, liver and lung complaints. Previous research on cells cultured in the lab has shown that certain compounds called flavones, found in the roots of this plant, not only have beneficial anti-viral and anti-oxidant effects, but they can also kill human cancers while leaving healthy cells untouched. In live animal models, these flavones have also halted tumour growth, offering hope that they may one day lead to effective cancer treatments, or even cures. As a group of compounds, the flavones are relatively well understood. But the beneficial flavones found in Huang-Qin roots, such as wogonin and baicalin, are different: a missing - OH (hydroxyl) group in their chemical structure left scientists scratching their heads as to how they were made in the plant. Professor Cathie Martin, lead author of the paper published in Science Advances, explains: "Many flavones are synthesised using a compound called naringenin as a building block. But naringenin has this -OH group attached to it, and there is no known enzyme that will remove it to produce the flavones we find in Huang-Qin roots." Working in collaboration with Chinese scientists, Cathie and her team explored the possibility that Huang-Qin's root-specific flavones (RSFs) were made via a different biochemical pathway. Step-by-step, the scientists unravelled the mechanism involving new enzymes that make RSFs using a different building block called chrysin. "We believe that this biosynthetic pathway has evolved relatively recently in Scutellaria roots, diverging from the classical pathway that produces flavones in leaves and flowers, specifically to produce chrysin and its derived flavones," said Professor Martin. "Understanding the pathway should help us to produce these special flavones in large quantities, which will enable further research into their potential medicinal uses. It is wonderful to have collaborated with Chinese scientists on these traditional medicinal plants. Interest in traditional remedies has increased dramatically in China since Tu Youyou was awarded the Nobel Prize for Medicine in 2015 for her work on artemisinin. It's exciting to consider that the plants which have been used as traditional Chinese remedies for thousands of years may lead to effective modern medicines."